Smokey Joe & The Kid in Montreal or Quebec City? Inform me about the next events for Smokey Joe & The Kid. Enroll yourself to our priority waiting list for Smokey Joe & The Kid to be alerted when new tickets are available. Filling this form doesn't engage you to any purchase. Does Smokey Joe & The Kid peak your interest and are you looking for excellent seats for one of their many shows for 2012 ? Well, you are at the right place. Of course, at 514-Tickets, we specialize in great seats whether for shows, concerts or sports tickets, we will have something for you. For the past ten years, 514-Tickets offers quality tickets with a 100% satisfaction guarantee together with outstanding service. 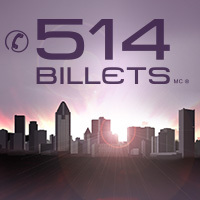 You may choose from many events at the Bell Centre, St-Denis Theatre , Theatre L’Étoile Banque Nationale and many more. Contact our operators at 514-Tickets (245-5387) today who will guide you through the best selection of tickets for Smokey Joe & The Kid or purchase directly from our secure website.